Don’t throw away those bones! Home / Diet and Nutrition / Don’t throw away those bones! Much has been written about Bone Broth lately. In major cities such as New York and Chicago, bone broth restaurants have surfaced. In some neighborhoods, bones at local butchers are hard to come by – becoming a “hot commodity” as residents travel near and far to get the “best bones” for their broth. Bone Broth is incredibly nutritious and touts many health benefits! First off, bone broth is made with – well, BONES! A wide range of animal bones can be used to make bone broth – including, chicken, beef, pork, lamb and fish. Unlike meat broths, which take 2-4 hours, bone broths are simmered over low heat for a long period of times. Purchasing bones from grass-fed animals is desirable. Many times, the bones are roasted before making the soup. In addition to enjoying a warm batch of nutritious broth, there are many health benefits to bone broth. Calcium – Bone broth provides a great source of Calcium. Calcium has many benefits in our body, including strengthening our bones and preventing osteoporosis and arthritis. 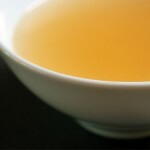 Collagen – bone broth is a rich source of collagen. By cooking down the bones, collagen is also broken down and easily digested. Collagen is great for our skin, makes our nails strong and also supports good joint health! Gut health – The gelatin that is found in the broth helps to heal our gut and supports proper digestion. Joint protection – believe it or not, bone broth has glucosamine – which helps reduce joint pain and inflammation. Immune support – Bone broth is rich in minerals such as calcium, phosphorous, magnesium and potassium. Bone broth fights inflammation. The amino acids found in bone broth have anti-inflammatory effects. In summary, bone broth can be (and to many, should be) a staple item in our kitchen’s. It is cost effective, easy to make and can make a positive difference in building a foundation for good health and wellness! Join in the bone broth revolution today and let us know how you feel! Combine bones in a deep 8-quart pot. Rinse with cold water, scrubbing with your hands. Drain and pack bones in pot. Cover with 4 inches of cold water and cook over medium-high heat for about 45 minutes until liquid boils. Simmer until broth looks clear, about 1 hour, occasionally using a ladle to skim off surface fats and foamy impurities. When broth looks clear, add remaining ingredients and simmer for an additional 2 hours. Use a spider skimmer to remove and discard bits of meat. Put a fine-mesh strainer over another large pot and pour broth through it; discard solids. Drink immediately, or let cool before storing. Makes 2 1/2 quarts.